The Trust are delighted to announce that their Easter half-term sports camps are open for two weeks in the second week of April. After the success of the February half term sports camps, we are pleased to say we are now open for Easter, for TWO whole weeks! 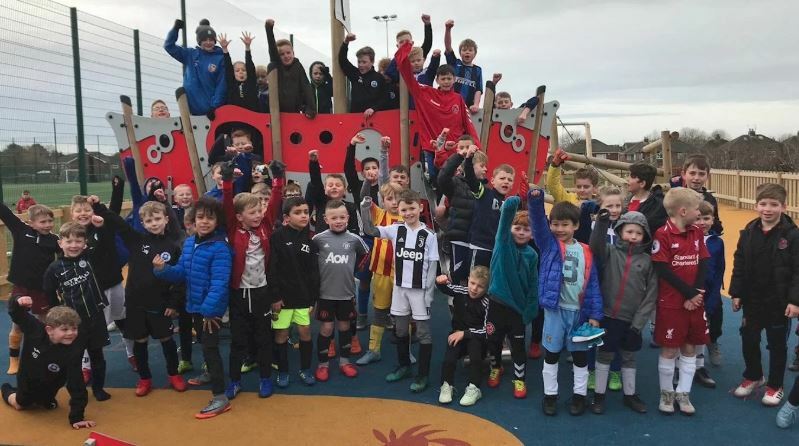 The sessions will take place at Flakefleet Primary School, Carleton Green Primary School, and at Poolfoot Farm Sports Complex, between Monday 8th-12th April, and then the following week – Monday 15th to Thursday 18th April! All three venues will be available for children aged between 5-12 years-old and will cost just £12.50 per day at the two schools, and just £10 for the day at Poolfoot Farm! THOSE WHO BOOK ON FOR THE FULL WEEK WILL RECEIVE A £5 DISCOUNT! At Flakefleet and Carleton, the children will take part in fun sporting activities, alongside games throughout the day. Those who attend will get to try new sports they might not have done at school, meet new friends, and potenitally get a visit from the first team players. Drop off time will be 8:30-9am, with the pick-up time between 4-5pm. At Poolfoot Farm, the children will be part of the Soccer School, which will see those play plenty of football matches, whilst learning new skills, and taking part in mini challenges throughout the week. With the first team on site, there will be opportunities for the children to meet players and get signatures of their favourite players. This time, there will be a new option to drop off your children between 8:30-10am, and a late pick-up time of 3-5pm at Thornton Primary School – which is across the road from Poolfoot Farm on Heys Street. This service if needed, will be an additional £2.50 per session. You can pay online for either of the three Sports Camps by visiting fleetwoodtownfcct.com, or by calling (01253) 208 442 for more details.